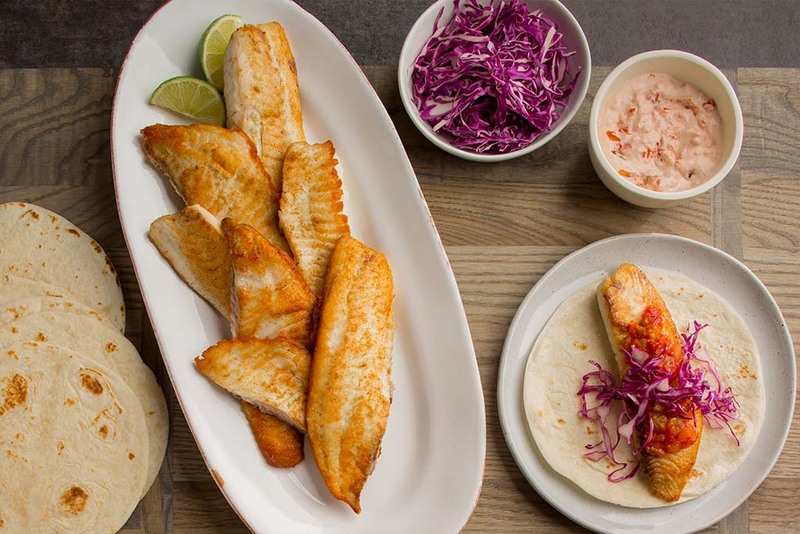 Fish tacos are a favorite on restaurant menus, but who knew they'd be so easy to make at home? Simply season the fish, give it a quick sauté then layer with a creamy, smoky sauce and crunchy shredded cabbage for a restaurant style dish that's on the table in less than 20 minutes. 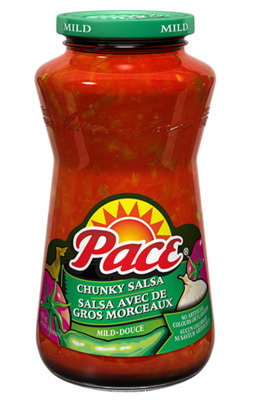 Stir the sour cream, 1/4 cup salsa and the chipotle chile powder, if desired, in a small bowl. Season the fish with the salt, black pepper and cumin. Heat the oil in a 12-inch skillet over medium-high heat. Add the fish and cook for 3 minutes. Using a spatula, turn the fish over. Cook for 3 minutes or until the fish flakes easily when tested with a fork. Drizzle each fillet with 1/2 teaspoon lime juice. Cut each fish fillet in half lengthwise, making 8 pieces. Spoon the sour cream mixture onto the tortillas. Place 1 piece fish into each tortilla. Top with the remaining salsa and the cabbage. Add some avocado to these tacos if you like. The buttery texture is great with the crunchy cabbage.